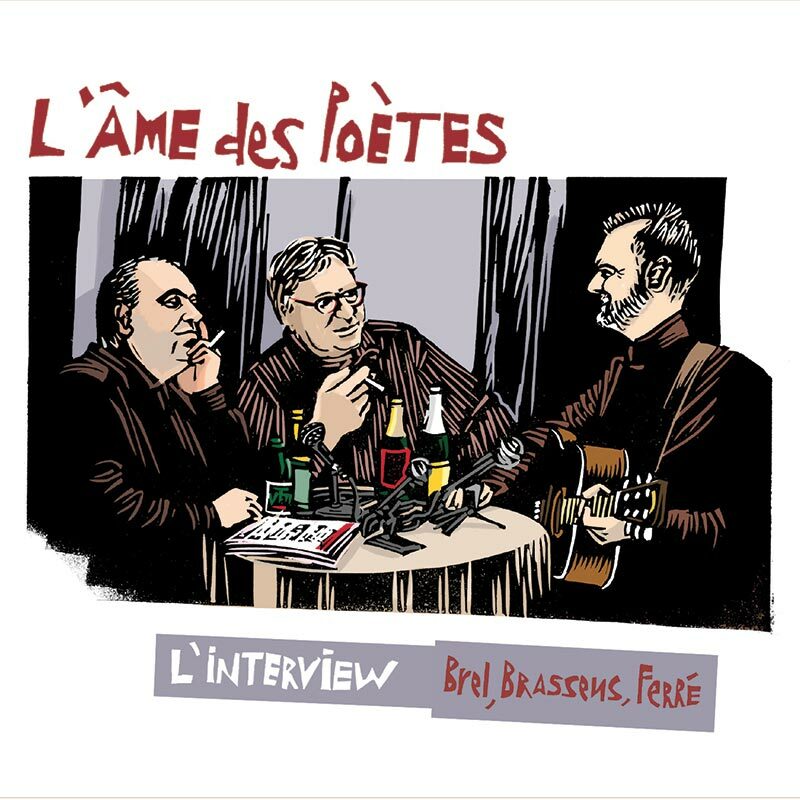 With this album based on a famous interview of Brel-Brassens-Ferré in 1969, the jazz trio “l’Ame des Poètes” instrumentally re-explores, with humour and creativity, the repertoire of three giants of chanson française. 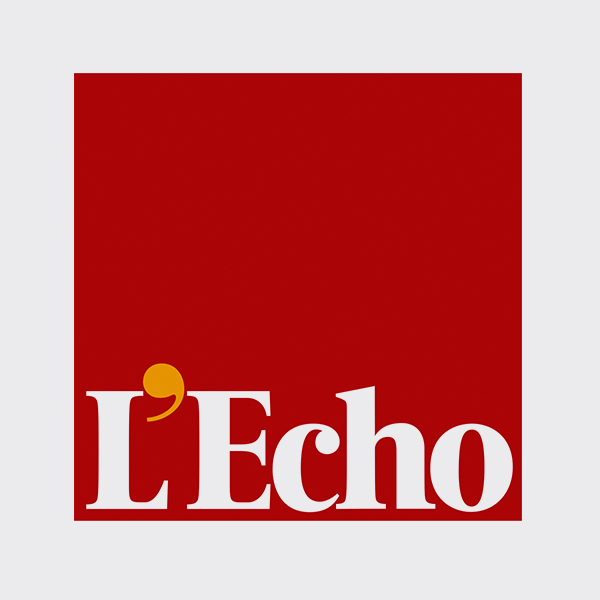 1969 : a historic interview brings together singers Jacques Brel, Georges Brassens and Léo Ferré. Questions are asked to which each artist gives very personal replies, a reflection of the age! 2014 : The L’Âme des Poètes trio come together around the same questions and offer a very personal vision of the three poets’ replies in music, improvisation and movement. A table, three chairs, glasses, an ashtray, microphones: the decor is set. It evokes, to the point of mimicry, the famous photo by Jean-Pierre Leloir. The roots of the album, L’interview, is L’Ame’s musical show of the same name directed by Marie Vaiana. In voice off, Gabrielle Stefanski asks the famous questions of François- René Cristiani. The three musicians in L’Âme des Poètes reply by revisiting the repertoire of the three giants of chanson – Brel, Brassens and Ferré – in their own way. With humour and inventiveness, they explore the singular world of each song and broach the works of the three singer-songwriters from a surprising viewpoint. From this repertoire, they basically keep the melodies that they arrange with the same mix of freedom, love and irreverence that characterises Brel, Brassens and Ferré. In this game of questions and replies, that goes from Pauvre Rutebeuf to La Valse à Mille Temps, L’Âme des Poètes deconstruct the songs with the imaginative humour of the three singers. They look at love (Jolie Môme, Les Passantes, Il n’y a pas d’amour heureux), their career (Les Trompettes de la renommée, Au suivant, La Quête), their relationship with music (C’est extra, Comme à Ostende) and death (Les Funérailles d’Antan, Jaurès). Or what they would have done with their first musician’s pay (J’ai rendez-vous avec vous, Avec le temps)! And through this instrumental revision full of swing and emotion, the Âme des Poètes sketches out the ties that bind the three singers, their age and our collective heritage. L’interview is an album that has, in more ways than one, something to say. "des interprétations instrumentales surprenantes, pleines d'émotions et de créativité."